Pass as possible greater distance avoiding enemy and other dangers. 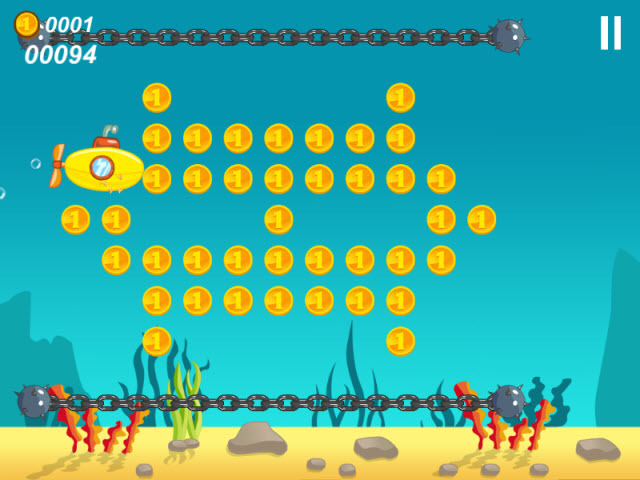 Collect the coins, buy the best armor and the other equipment, which will help you to survive in severe undersea world. In play pleasing funny graphics, ensemble of the miscellaneous bonus and pleasing undersea atmosphere. Only the most strong and bold will be able to get to end.